Home - Floorgasms: Flooring to get excited about! 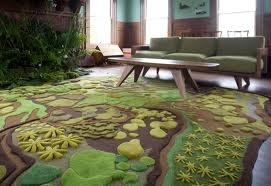 Floorgasms: Flooring to get excited about! The title may sound rude, but when you see some of these incredible flooring solutions you will be amazed, and understand what a floorgasm is! With all the new innovations in home building, flooring, and recycling, having a bland, blah floor is so 1995. Renovators, remodelers, and home builders all over the world are experimenting with new materials, processes, and ideas to create stunningly unique looks that can put a sharply individual stamp on any home or office. Here are twenty great ideas that can add flair and pizzazz to your parlor…or any other room! Having trouble finding your way? This striking floor map design is ideal for kids’ bedrooms or nurseries, encouraging them to learn while they play! This home, situated atop a cliff, offers a dramatic downward vista of the canyon below. While it’s not recommended for those with acrophobia or vertigo, it certainly makes a striking statement and serves as a conversation piece in its own right! 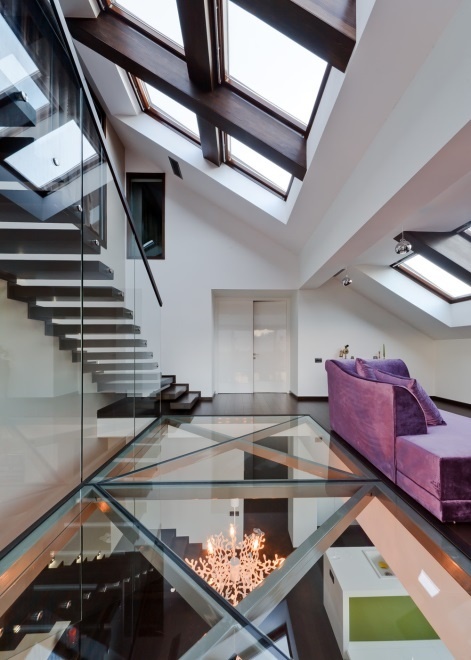 People who live in glass houses shouldn’t throw rocks, but that doesn’t mean they can’t throw parties! This ultramodern space blends transparency and privacy into a stunning visual delight without compromising strength or stability. 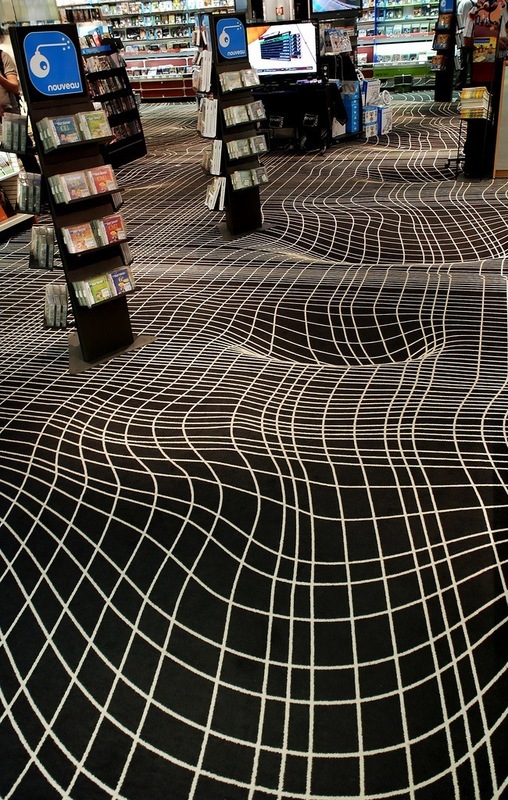 This perfectly flat floor is designed to tease the eye with its singularity pattern. Intended to evoke the theoretical distortive effects of a black hole on the space-time continuum, this is an ideal design for any gamer’s lair! 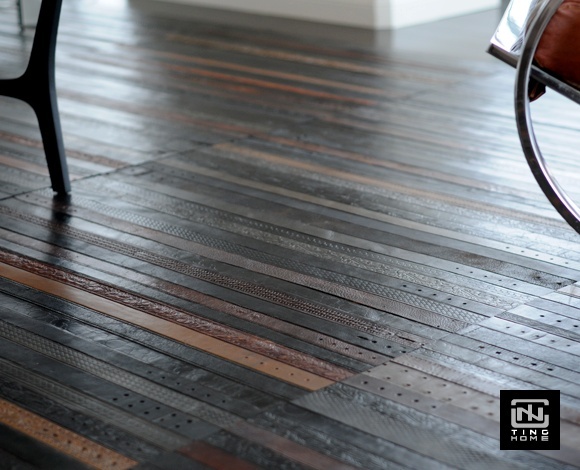 Old wood gets new life in this striking floor mosaic constructed of reclaimed pieces of junk wood. The unique weathering patterns draw the eye and lend warmth and a sense of history to the room. 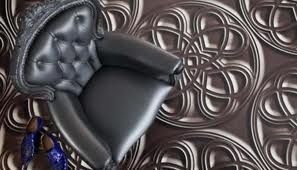 Leather’s good for just about anything, but have you ever considered it could be a floor? 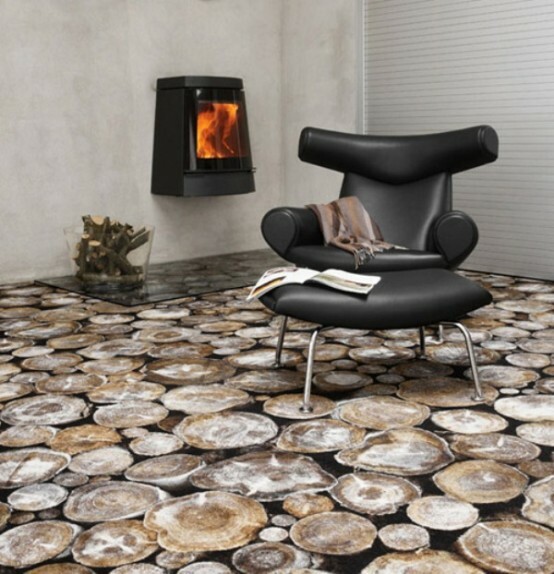 Not many people do, and that, combined with the amazing pattern, makes this cowhide floor an unusual and interesting idea. Inspired by the dark side of the moon, this floor was designed so visitors can look up to the stars while contemplating the ground. 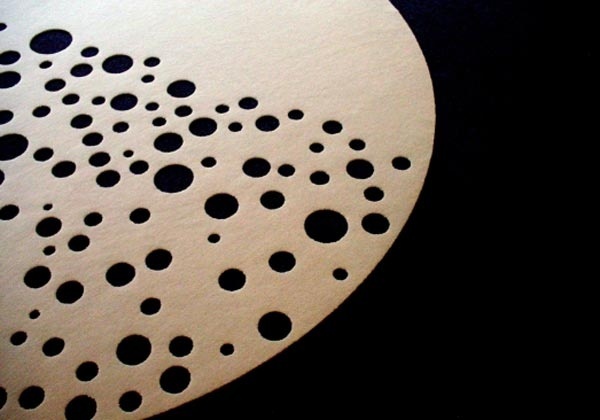 The abstract lunar pattern is not made of green cheese! 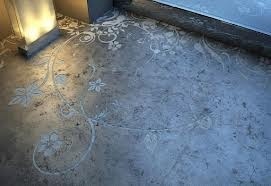 Lace is good for many things, but a floor? These homeowners thought so, using the delicate pattern to add a bold, yet feminine, touch to their sitting room. If you thought concrete was just for sidewalks and driveways, think again! 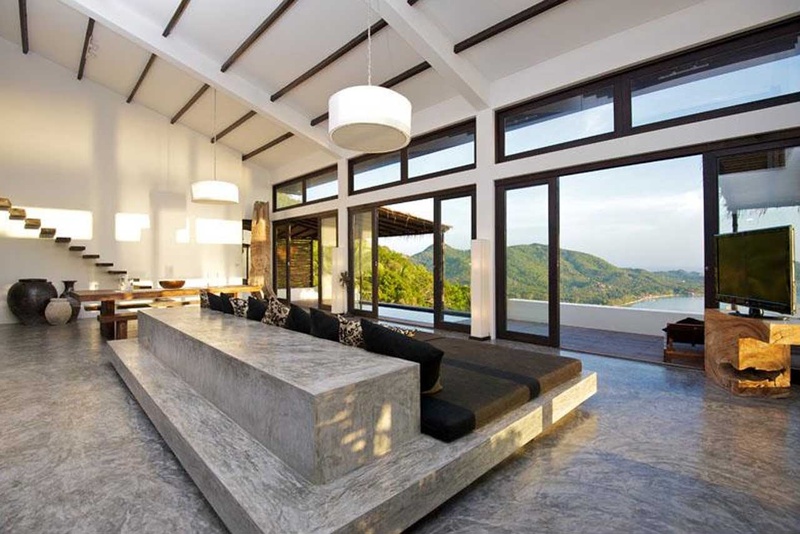 This home in Thailand combines the timeless simplicity of Asian architectural aesthetics with the modern look of polished concrete to form an exquisite, airy-feeling space. Constructed of slices of petrified wood, this unique sitting area combines the best qualities of wood and stone. 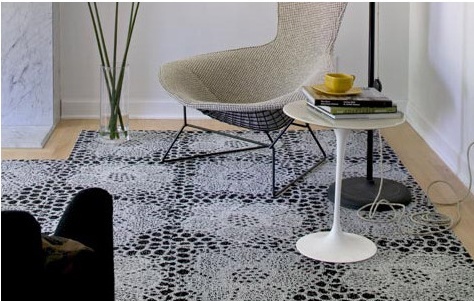 The patternless pattern of the floor is great for drawing the eye and making the space appear larger than it actually is! 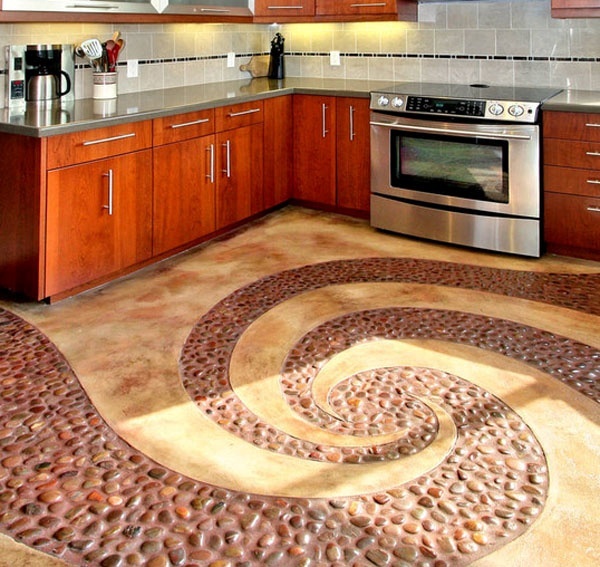 This spiral floor combines exposed aggregate and brushed concrete in a whimsical design reminiscent of The Wizard of Oz. It should be interesting to see what they cook up in this kitchen! This may be one of the most dramatic floors in the lineup. 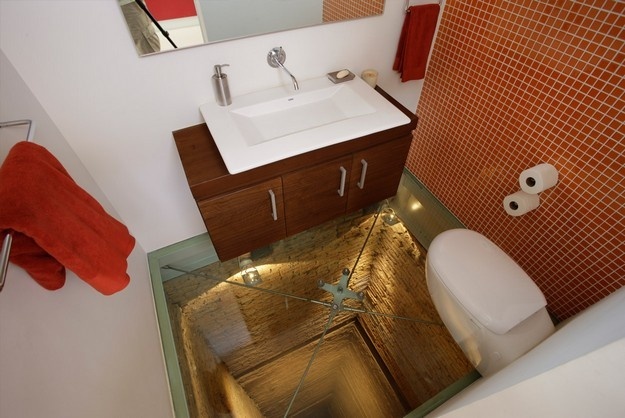 Constructed over the top of an abandoned elevator shaft, this surprising design will certainly get the attention of unwary guests! When most people think of recycling, we’ll bet they never thought of this! These vintage leather belts add a fun and funky retro vibe to the room. Pennies from Heaven? 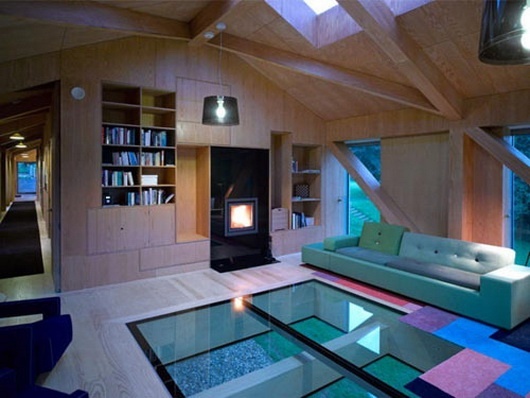 Well, not exactly, but this innovative floor design will certainly give the owners their money’s worth! 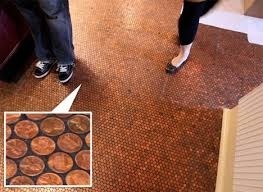 This floor was created from real American pennies, polished and set into clear plastic resin to create a one-of-a-kind walking surface. This optical illusion floor gives the appearance of wonderful texture and three-dimensionality, transforming this sitting room into a soothing oasis. 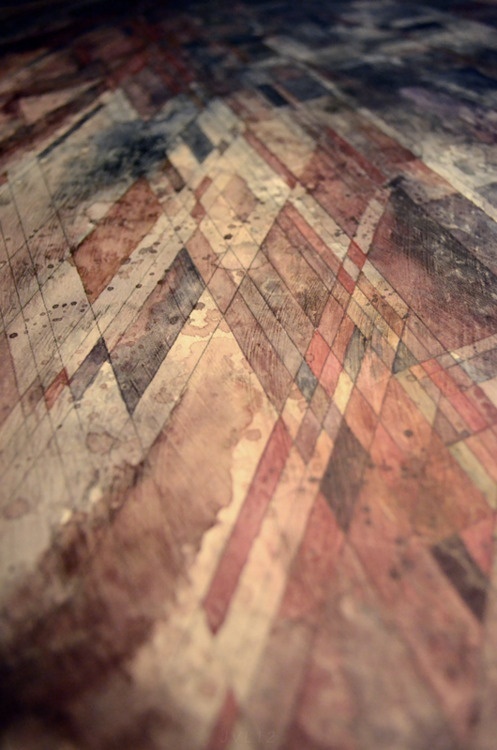 The abstract design looks so real it demands to be touched! 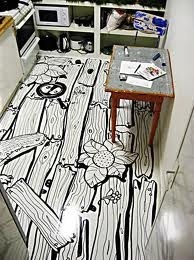 Puzzled by what to do with your floor? 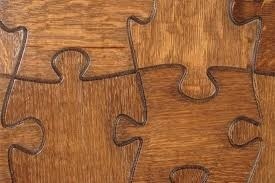 Try these hardwood jigsaw puzzle pieces to give an enigmatic but warm ambience to your room! If you can’t think of anything better to do, drawing your own design on the floor is a solid solution, as the picture above shows. 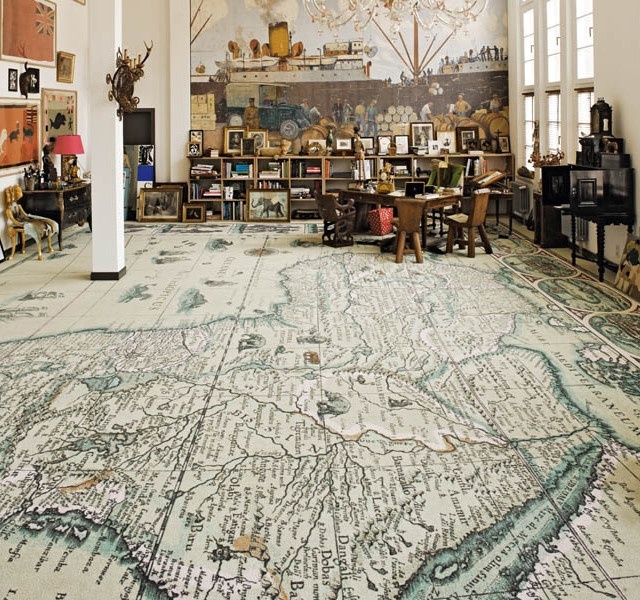 This line drawing directly on the bare floor gives this office a bold artistic flair! Texture and elegance set this floor apart. Unlike some of the other floors featured here, this one is not an optical illusion at all. 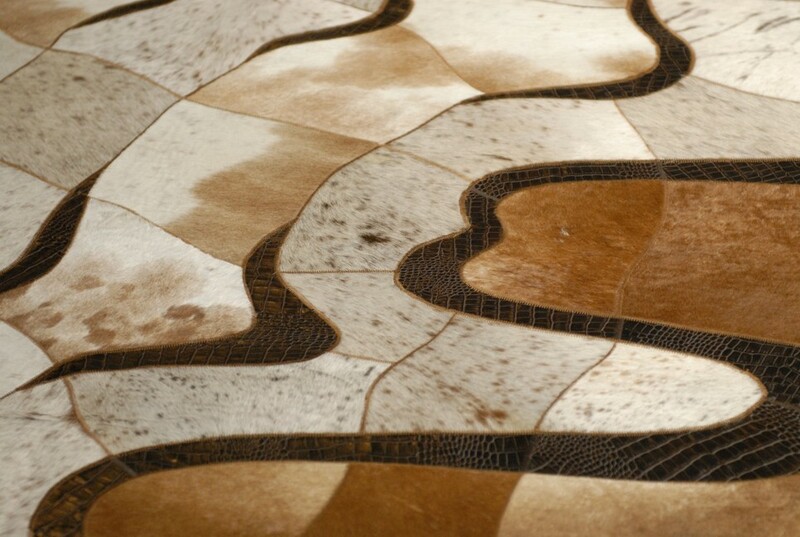 The vibe this floor gives is one of austere taste and comfort, with its knotted-heart design. This striking floral design is etched directly into the concrete, demonstrating once again that concrete construction need not be bland, drab, or utilitarian in order to be functional. It has the advantage of looking beautiful and easy for DIYers to replicate! 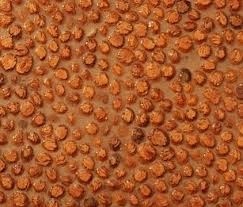 While this isn’t the floor from the iconic fifties-style diner in Beverly Hills 90210, this floor constructed of real peach pits cemented together with resin gives a whole new meaning to the notion of recycling, and makes an interesting statement at the same time. It is a perfect blend of organic building sensibility and functionality, making it a great choice for eco-minded decorators. Joe Shervell supplied this for www.cobaeurope.com, experts in flooring.